New with tag. Made in Poland. 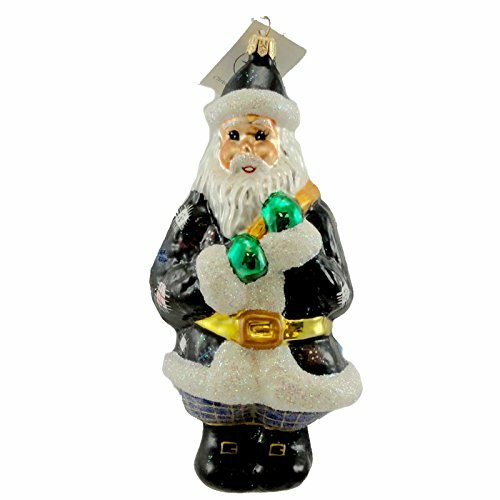 Santa in black jacket with white glittered trim. Sugar coated pants are a blue and gold plaid and he is holding a gold bag.